180 Medical is honored to have a scholarship program to help those with spinal cord injuries, spina bifida, transverse myelitis, neurogenic bladder, or ostomy (ileostomy, colostomy, or urostomy). Realizing the financial burdens that exist for many of these families, we’ve developed the 180 Medical Scholarship Program to honor these young adults who pursue goals of higher education. Students attending a two-year, four-year, or graduate school program full time in the fall are eligible to apply. Applicants must be under a physician’s care for a spinal cord injury, spina bifida, transverse myelitis, neurogenic bladder, or ostomy (ileostomy, colostomy, or urostomy). Must be a legal resident in the United States. 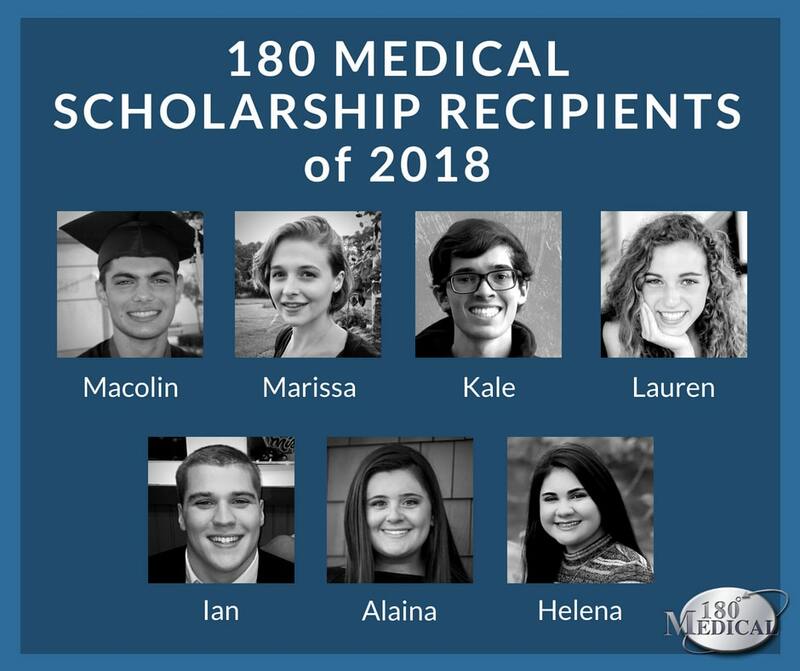 Learn more about the 2018 180 Medical Scholarship Recipients here. 180 Medical specializes in providing intermittent catheter and ostomy products to people across the United States. We offer personalized service, free shipping, insurance billing, free samples, and catheter specialists available to answer any questions you may have regarding catheter products or insurance coverage. The 180 Medical Scholarship program was started by 180 Medical’s Founder, Todd Brown, who was injured in a motocross accident that left him with a spinal cord injury. We will begin accepting applications on 1-1-2019.